I am starting a new series within the field of beauty. A "Compare the..." series, where I compare two or more of the same item, such as todays where I am comparing two different branded facial cleansers, I will compare them and then rate my favourite! How does that sound? Well here it goes. What it says This states it is a "gentle foaming wash to cleanse the skin and fight bacteria". How to use it You add a small amount in the palm of your hands and massage onto wet face creating a lather, then rinse with warm water. It doesnt say whether you can only use this a certain amount of times, but I used this both morning and night. Scent? This is a sweet floral scent, now I love sweet scents but this isnt a scent I am that keen on for a facial wash, I personally like washes to smell fresh and clean. How it feels This is a soft white foam like substance that is super soft but slightly sticky if you dont apply to wet face! After use The product felt lovely on the skin, it was so soft and felt gentle. The product removed all my makeup and dirt, I was very impressed with that aspect, but I didnt like the feeling it gave my skin afterwards, it felt like "plastic" which I know is a odd description, but I didnt like the feeling it gave my face thought it did cleanse well! Conclusion Not too keen on the scent and feeling it gave my face after use, but if you dont mind then you would love this product as it was impressive with how it removed every trace of makeup and dirt. I would reccommend this but not sure I would repurchase. I would give this product 6/10. 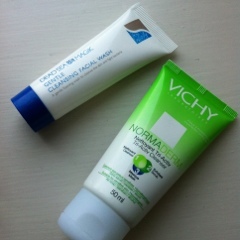 Vichy Normaderm Tri Activ Cleanser. What it says It doesnt actually say what it does so I will just explain. It is a tri activ cleanser that you can use in three ways, one as a facial cleansing wash, one as an exfoliant and one as a mask. Pretty impressive! It has no parabens, no soap and no alcohol which is super to see as these are harsh for the skin! How to use it Apply to damp face and massage into the skin then rinse off with water. Scent? This has a lovely fresh light floral scent that stays on the skin for quite a while, I love this scent and cant help but sniff the bottle!! How it feels It is a slightly grainy green coloured cool thick clay like substance. When applyed to a damp face it lathers well and feels cool. After use My skin feels slightly tighter after use which I quite like! My skin feels refreshed and awake. It removes all traces of makeup and dirt which was great as didnt have a dirty towel! Conclusion I love the scent and how you can use this product in three different ways. 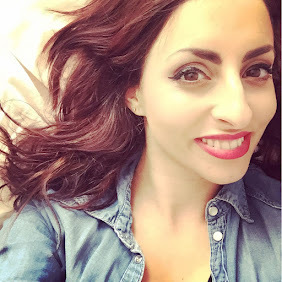 It made my skin feel refreshed and clean, and with an added bonus of no parabens or alcohol it would suit even sensitive skin. I would recommend this and repurchase. The only thing I am not keen on is the packaging, its not very clear and has many translations on the back. 9/10. 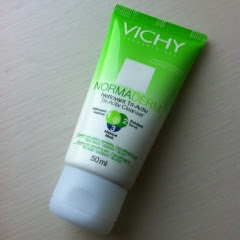 VICHY NORMADERM TRI ACTIV CLEANSER!! Have you got a favourite facial cleasning wash or have you tried any of the products I have reviewed?